Unique New Dolls | Barbie Who? Where to begin? Well, I have reached a point where my husband is commenting on the number of dolls I have found at thrift stores. Because of this, I’ve made a new rule that I will only buy a new doll if she is somehow unique from the regular blonde-hair, blue eyes, fair completion Barbie we see all the time. Uniqueness can come from a unique age, too, in addition to head, hair color, or ethnicity. With that in mind, I found a few cool new dolls while out shopping with the family. These two dolls are unique because they are Disney dolls. The one on the left is a Mulan doll and the one on the right is an Ariel doll. 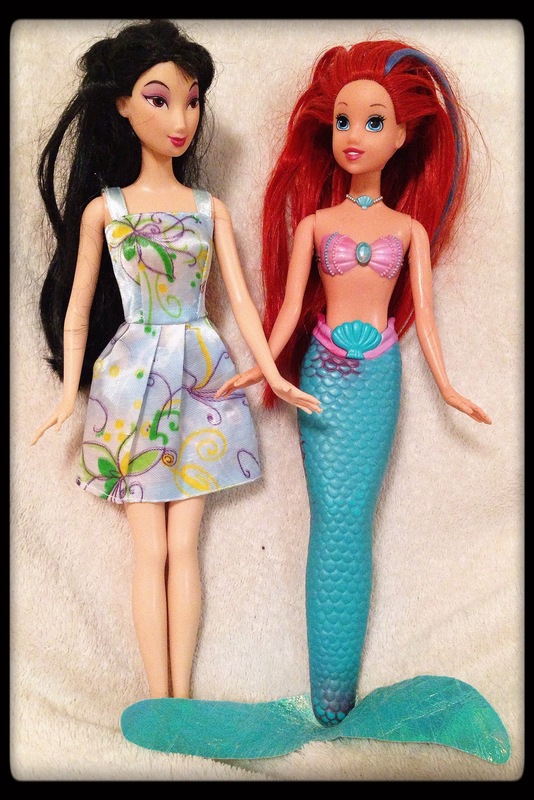 The Ariel doll has a color-changing fin. I noticed this because it kept changing from purple to blue as my child held it. Her hair also changes color; I find both to be delightful. While I probably won’t be able to use this Ariel for Barbie Who (unless Moffat gives us something strange and delightful with Capaldi), I’m sure I can find a place for Mulan within the project. I also found a Barbie doll that truly puzzled me. When I first picked her up, I didn’t think it was a Mattel doll. It did have the proper stamps, so I bought it as a curiosity. After some research, I learned she has an everflex body and can be posed in all sorts of crazy positions without breaking or becoming permanently bent. When I showed my husband, he said it reminded him of a Stretch Armstrong doll. It did for me, too, but without the goo inside. According to what I’ve read, this was a cheerleader doll released in the early 2000’s. This type of body is covered in a rubbery skin-like substance called everflex. In other dolls, this was only used over the waist to allow it to turn in unique ways, but in this doll it is all over her body. Her body is considered the Dance n’ Flex body because it is fully covered in the stuff. Given the strange thinness of her arms and how disproportional she looks in real life, I can see why they didn’t make more dolls like her. 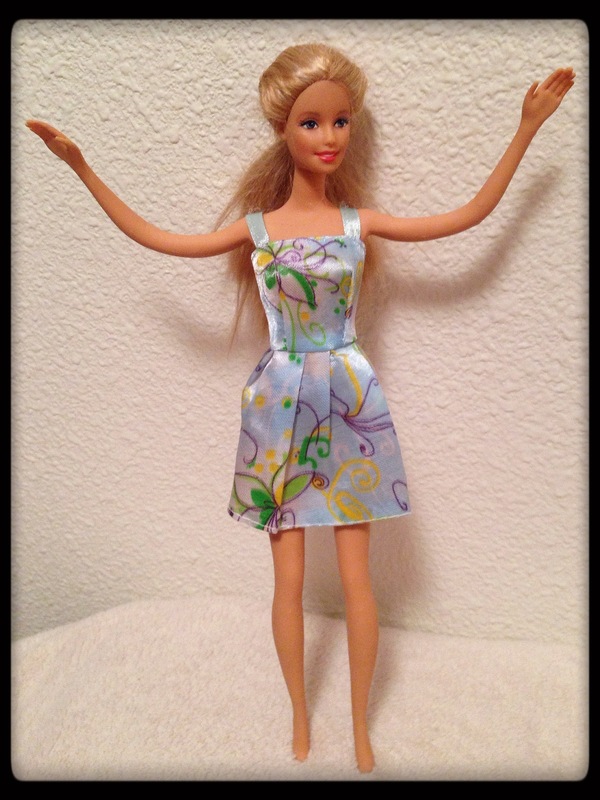 Other variants of Barbie cheerleader dolls have full articulation, sometimes including the wrist, to allow for more realistic poses than bending this doll’s arms can allow. This doll is a good example. She has really cool articulation at the waist, elbow, and knees. This allows me to pose her. While I’m still not sure what version of Barbie the doll is (2010 fashionista is my best guess), the dress she is wearing is from the Glam Bike set. I also believe the shoes another doll is wearing comes from that set. It’s so much fun to learn these things! Next up, I have two dolls who charmed me with their brunette hair. I found the doll on the left at the same store as the two Disney girls above. The one on the right I found at a different store downtown. These two brunettes have a few cool things about them. The one on the right isn’t a full 11-1/2″ doll. She is shorter, which leads me to believe she is either a Skipper or Courtney doll (or one of their pals). It is so cool to finally add a teen doll to my collection! I hope I can find various other ages as I continue searching for dolls. The doll to the left is full sized and is awesome! After researching her, I found out from The Barbie Blog that she is Splash n’ Color Kira. After reading that entry, I was pleased to see that someone else found her second-hand and managed to find out who she truly was. Like the one posted by The Barbie Blog, mine has different earrings (the same as the ones her doll has and the one on this page has, actually). I couldn’t resist doing the water test and being delighted when her hair turned pink and white with warm water. She is such a fun and unique find! Last but not least, I have a Jakks doll. I bought her because she has a different face than the regular doll molds, and I appreciate diversity. 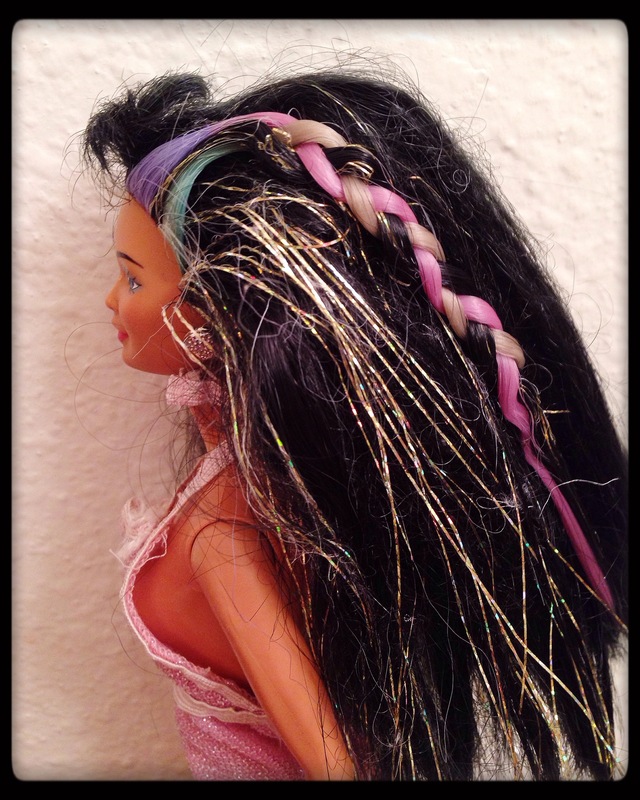 I researched her, and to my surprise this is a 2002 Hannah Montana doll. 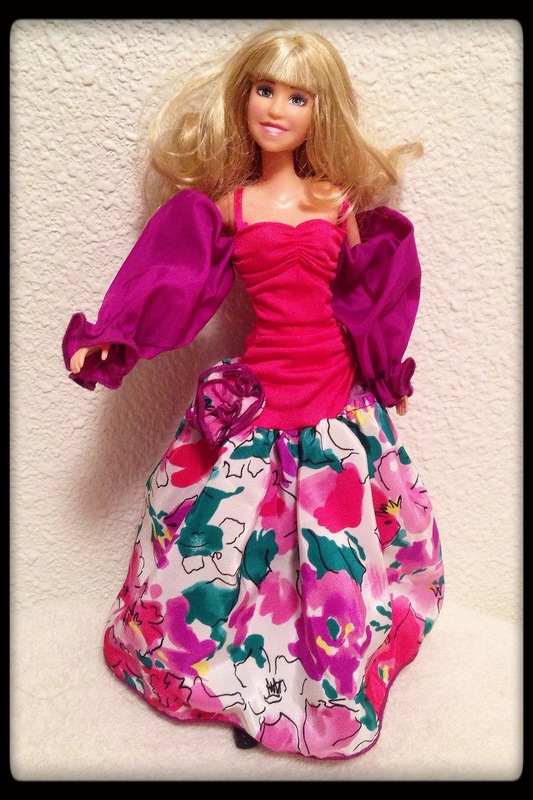 In a totally CrAzY moment, I saw that the blog My Barbie Blog had a post about a Hannah Montana she found at a garage sale right after her post about the Kira doll. It had the exact same face as the doll I found, although she doesn’t sing. This leads me to believe she is a different doll set that uses the same molds, but at least I know who she is! She has the same body as the Taylor Swift Jakks doll I found ages ago. I like their arms; they’re more posable than many of the other dolls. 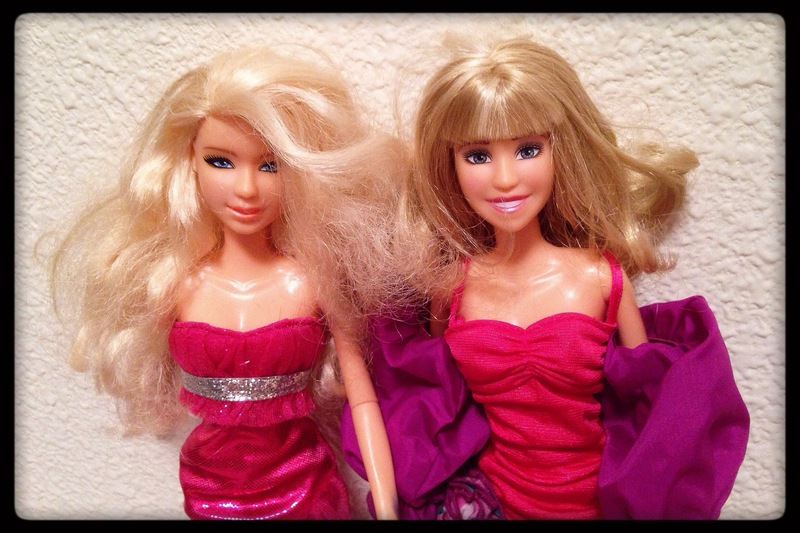 I am still having a crazy moment thinking about what the chances are that The Barbie Blog would have two consecutive blog posts about two dolls I was trying to ID. I’m guessing it is very slim and I should have bought a lottery ticket today instead of going thrift shopping. Oh well! That is all I have for this update! I just wanted to share the cool new dolls that I have found and some information about them. Hopefully I can continue finding unique dolls and perhaps even identifying them like I have these gems. On the Cofelia front, I am almost done with her adipose! I finished the body, one arm, and one leg. I just need to make the other limbs and see them into the body. It should be finished very soon. You have had some good finds. I wonder if your teen doll might be a High School Musical doll? I don’t know a lot about these but they do have the same body type as teen Skipper and the Generation Girls I think,; a bit shorter and slimmer. They made several issues of them, one for each movie I think. There are some boys too who you could probably do something with if you find any. That is a fantastic idea! I never thought about it being a movie doll. I did a quick search and she does look like the Gabriella doll. Thank you so much for the idea. It is so much fun to ID the dolls. Glad to be of help. I always like it when I have worked out who a new doll is. That is where the internet is so handy as there is bound to be a fellow collector out there who can help. I love all the different dolls you are finding. I can’t wait to see what you do with them. Thank you! I only wish I had more time to work on their clothes. These are some fantastic dolls! I wish the shops I went to had such great dolls. It’s rare to find Barbies of any kind in the places I shop. I did find some old rag dolls yesterday – they need some love and care though, they are nearly bald and really grubby. There is something special about this area. When I lived in Omaha, I nwver found dolls. I feel very lucky that I’ve found so many diverse dolls here. That is so super! I’m really happy for you 🙂 You’re obviously in the right place. 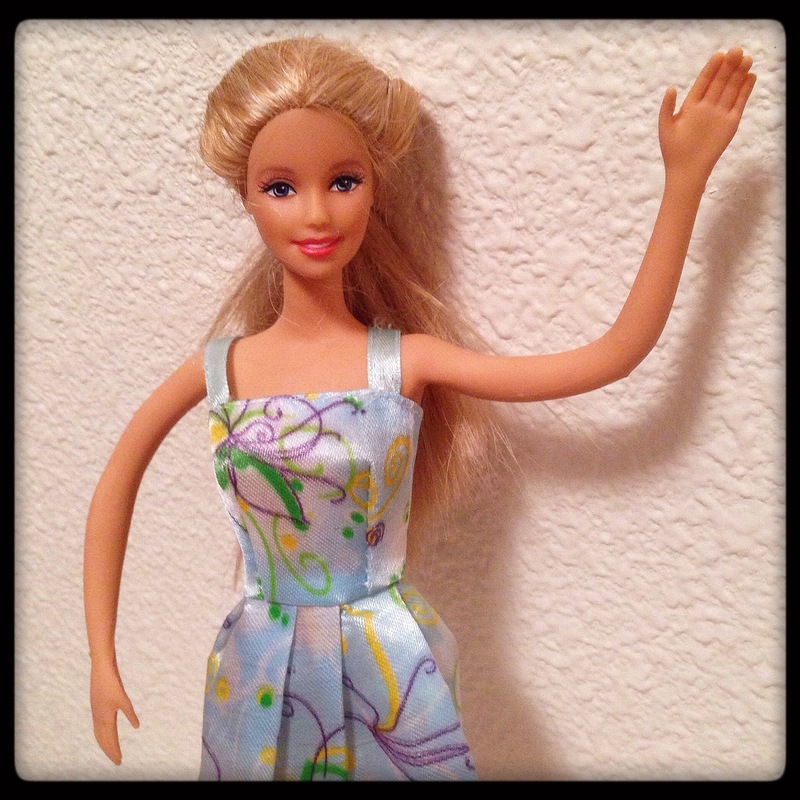 Pingback: Giant Bag of Clothes, Part 1 | Barbie Who?